Not as cheap as you think. 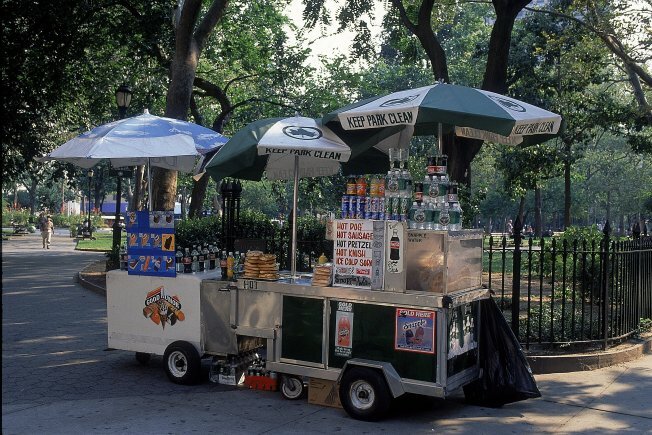 A hot dog vendor who normally sells his tube steaks in front of the steps of the Metropolitan Museum of Art has been evicted, and he's not the only one suffering a cash crunch on Museum Row. But this isn't the usual tale of woe in a tough business climate. His rent on the spot was $53,558 a month. The busy location is lucrative, no doubt, and the vendor, well, kind of brought this on himself. He was the highest bidder when the city auctioned off rights to sell hot dogs on either side of the steps of the museum. But the filet mignon prices are forcing out the vendors. Somehow the sales of hot dogs and bottled water to tourists didn't nearly add up to the $648,000 annually the vendor owed the city, and the 51-year-old Queens man was behind by $310,000 on his rent, reports the Daily News. Another vendor at the steps told the News that he brought in about $1,000 a day, and he too was packing in his buns. Can it be long before they are replaced by vendors dishing caviar and spilling champagne?